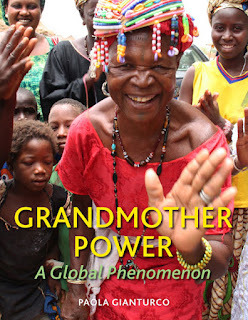 A few days ago, we were thrilled to receive our complimentary copy of a new book to be released on Sept. 18, 2012: Grandmother Power - A Global Phenomenon. 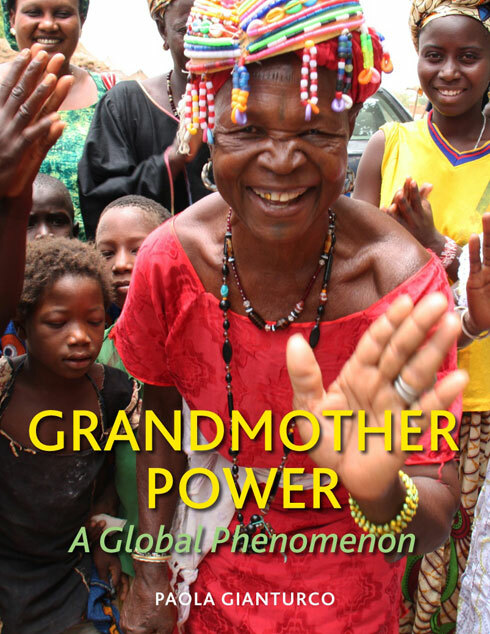 This important book highlights grandmother activist groups around the world who are making a difference in their communities. Three years ago, we got an email from the author, Paola Gianturco, asking if we could help her contact and arrange a visit to a grandmothers' group, the Kokkabok Women's Cotton Group, which we feature on our website. After many emails, we were happy to facilitate this visit, which has resulted in a beautiful chapter in her book about this group and their activism to help neighbouring villagers fight the gold mine that is poisoning them and their water. "I earn no money from my books, which are philanthropic projects. I will give my author royalties from this book to The Stephen Lewis Foundation in Toronto which, as perhaps you already know, helps African grandmothers who care for AIDs orphans. If the Kokkabok women agree to be in this book, they will be expressing solidarity with the African grandmothers and others around the world." And agree they did! Check out Paola's Thailand page to learn more. Paola kicked off her extensive slideshow presentation and book signing tour in Camrose, Alberta and has many dates set up across North America. We're lucky to have her coming to Halifax, Nova Scotia on Oct. 25, so set that date aside. Visit her Events page for details of all the events. Please tell your friends about this book. Buy a copy. Ask your local library to order it. And spread the word about grandmother activist groups changing their communities around the world. See TAMMACHAT co-founder Ellen Agger's photo essay about the women in the Kokkabok weaving group.